They're finally here! The Tree and the Vine, our latest album, is officially released. It sounds amazing thanks to all the talented men and Whimen involved in its production. We want to send a HUGE thanks to everyone who helped make this CD possible, especially those that contributed to the Indiegogo. If you pre-ordered a CD you will be receiving it in the mail shortly. If you would like to order a CD, please email our business manager Katie Elliott at elliott_katherine@wheatoncollege.edu for more information. 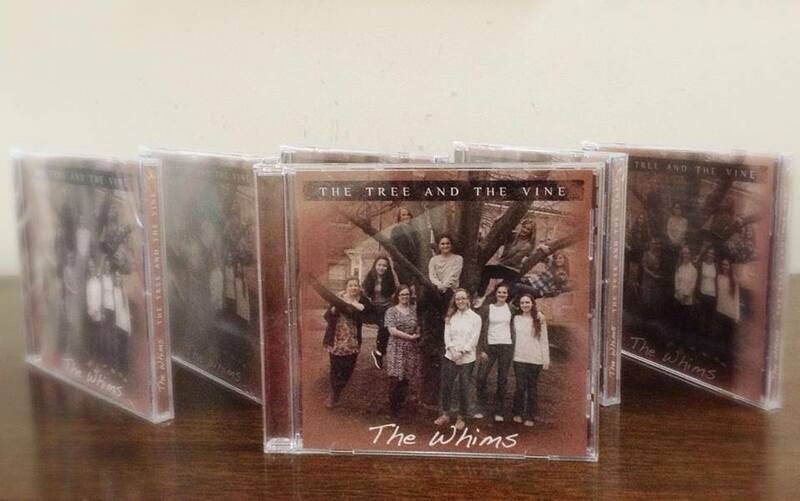 The Whims is an a cappella group made up of women who share a love of music. We were established in the winter of 1947 at Wheaton College in Massachusetts. For more information on Whims past and present, please explore our page!